Although the star’s casting is far from a done deal, Universal Pictures is reportedly looking at having Dwayne Johnson headline their upcoming Wolfman movie, planned to be part of the studio’s budding cinematic Monsterverse. Deadline has the news as they also report that Johnson has another project in the works at Sony Pictures. There, Johnson is set to executive produce the contemporary Kung Fu feature Son of Shaolin. The Mummy, set for a June 9, 2017 release, is being directed by Alex Kurtzman and features a cast that includes Tom Cruise, Sofia Boutella, Annabelle Wallis, Jake Johnson and Courtney B. Vance. It will be followed by mystery Universal Monsters movies on April 13, 2018 and February 15, 2019. Could one of those projects be the Wolfman movie? Only time will tell. Prisoners scribe Aaron Guzikowski is penning the Wolfman movie, while Fargo executive producer Noah Hawley is said to be writing another one of the films in the series. That project is potentially The Invisible Man which, according to recent reports, will star Johnny Depp in the title role. All the films in the series will be produced and overseen by the creative team of Alex Kurtzman and Chris Morgan. Son of Shaolin, meanwhile, is said to be based on a forthcoming graphic novel by Jay Longino. Although it is said that Johnson may also star, he’s currently attached to Son of Shaolin only as an executive producer alongside Ryan Kalil, Dany Garcia and Hiram Garcia. Johnson is in theaters now, starring opposite Kevin Hart in the New Line Cinema comedy Central Intelligence. 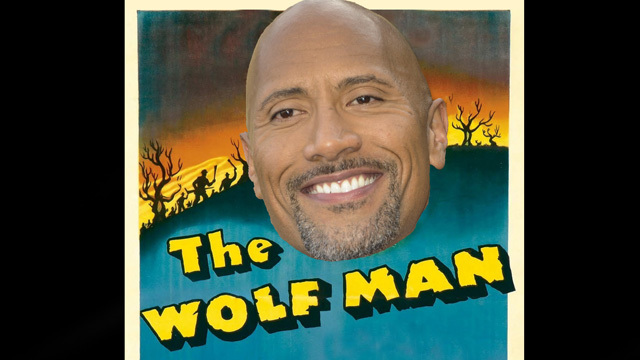 Would you like to see Dwayne Johnson headline the Wolfman movie? Let us know in the comments below and check back for details on both it and Son of Shaolin as they become available.